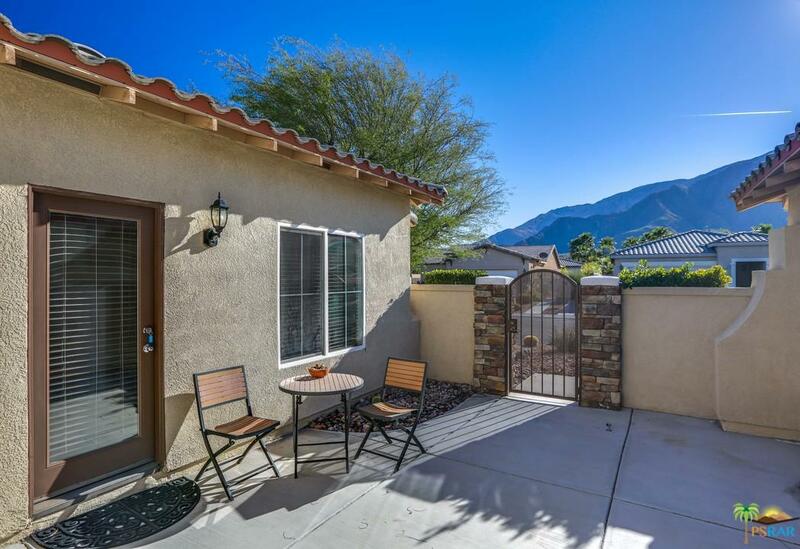 This popular Bella model has it all, the large sq footage of over 2500 sq ft makes this home ready for entertaining, and features its own large Casita with private courtyard and mountain views. Lots of natural light throughout, plantation shutters, large open designer kitchen with high-end stainless steel appliances and beautiful granite counter tops and maple cabinets. 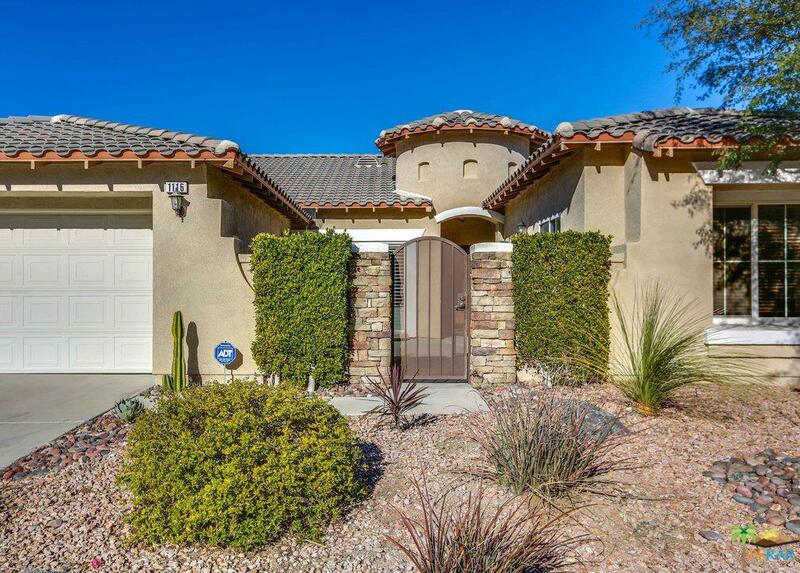 Large tile paver flooring, master retreat with large bath and huge walk in closet. Two other full bedrooms on the opposite end and again, your own private Casita. 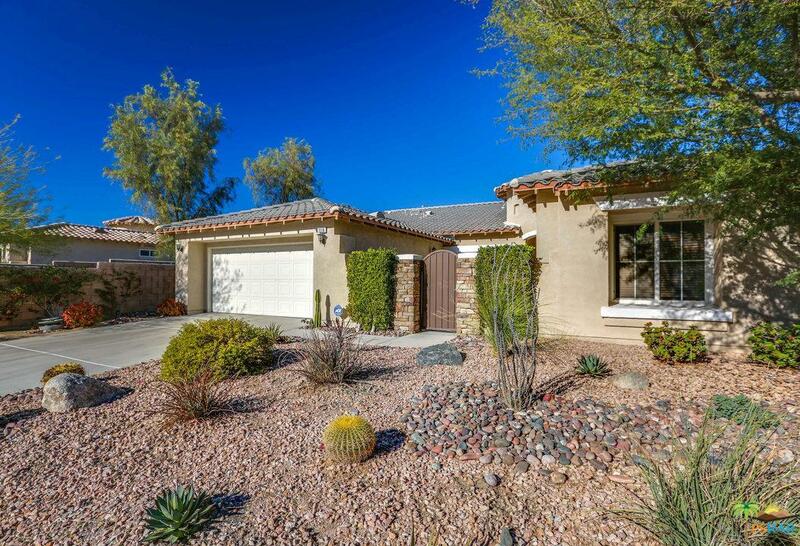 Large walled yard with 5 hole putting green and artificial turf, home also features mature desert landscaping, large 2 car garage. Conveniently located and close to booming, trendy downtown PS shopping, dining, hiking. 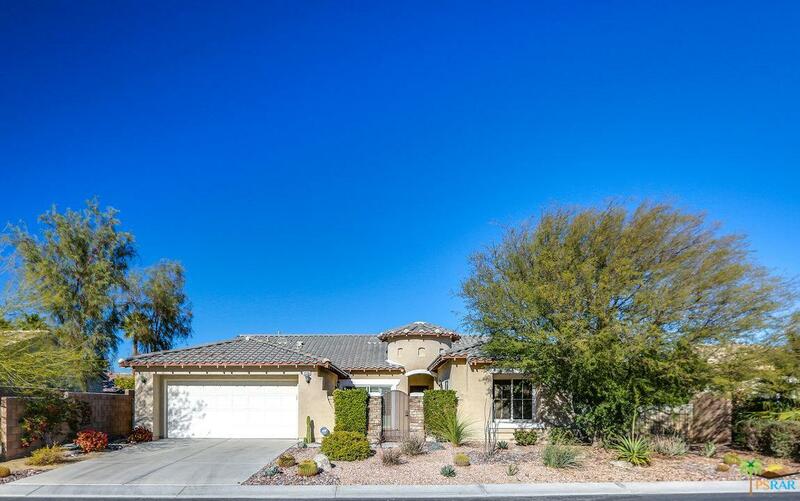 Extremely low HOA fee of $100 features resort type pool and spa, tennis courts, basketball courts, BBQ area, playground, walking trails, and remember at MG you own the land. Association Name West Association Mgmt. Listing provided courtesy of Michael Barber DRE#01332558 of Main Street Realtors.